You need to know that e-learning for kids is an educational site with free access to science, math, computer, language arts, and life skills lessons. 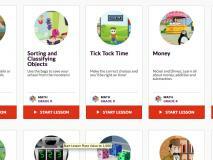 Kids can freely explore by topic and further sort lessons by grade level and popularity. Most lessons include an activity followed by an interactive assessment. The lessons are available in five languages, although English offers the greatest number of lessons. Kids get feedback in many of the activities and are guided with visual and, in lower grades, audio prompts. Quizzes are scored, but kids can&apos;t track progress. E-LEARNING FOR KIDS is an educational website with lessons organized by skill topic. A search engine allows kids to further sort lessons by popularity and grade levels from kindergarten through sixth grade. 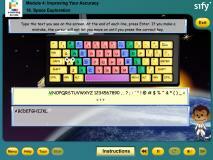 They select any lesson they wish and are guided through the lesson with visual and audio prompts. In many cases, kids can navigate to any part of the lesson at any time. Most follow-up quizzes and exercises are scored and provide helpful feedback. The site offers a fun collection of lessons that cover a wide range of topics. Many lessons are interactive and include some form of follow-up, allowing kids to apply what they learned. It&apos;s handy that kids can search for lessons by topic and grade level, making it a snap to find age-appropriate content that interests them. Kids are empowered to freely explore the available lessons, but the downside to this flexibility is that kids or parents can&apos;t track progress or follow any sort of specific learning path. Similarly, the technical issues are a bit frustrating; some lessons work on both PC and Mac devices, while some only work on PCs. There&apos;s no way of knowing which ones may work on your machine until you&apos;ve attempted to access them, and you may find that they&apos;re not available for your system. Though the content on e-learning for kids is completely free as a supplemental class resource, its glitches and issues mean you may be searching through the site for a while before you find exactly what you&apos;re looking for.